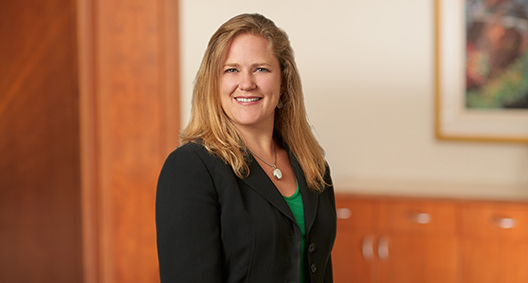 Named a 2016 "Colorado Lawyer of the Year" by Law Week Colorado, Casie Collignon has achieved significant accomplishments in class action litigation, thereby limiting exposure and business risks for her clients. Casie views class action defense with professional maturity, from a business perspective first and a litigation perspective second, taking whatever avenue is most advantageous to get the results her clients desire. While zealous representation is often accompanied by aggressive legal strategy, she also believes there is a time and place for cooperation in most litigation contexts. This approach has led to substantive and economic rewards for her clients. In the data privacy area, Casie assists clients with their most complex issues, including data breach and other privacy-related class actions. She is often sought out to represent healthcare companies, businesses with substantial online services and business in the social media space. With little precedent for certification in such cases, class actions are particularly challenging because damages are pursued based on statutory penalties with no individual damage requirements. Casie's practice also includes complex business litigation experience, involving litigation surrounding the insurance, consumer, financial services and oil and gas industries. In this respect, Casie works closely with her clients to understand the history, context and practicalities underlying any given dispute. It is her experience that these intangibles are just as important as the legal precedent in any litigation involving these industries. Achieved summary judgment for a healthcare billing services provider in a California data breach class action seeking nearly $400 million in statutory damages under the California Confidentiality of Medical Information Act arising out of the theft of eight computers. Also blocked an attempt to amend the complaint to include a breach of contract claim, as well as a California Unfair Competition Law claim. Successfully achieved dismissal of multiple class action lawsuits against a technology application company in multiple data breach lawsuits alleging that plaintiffs’ payment card and personal information was stolen and misused through online customer support services. The plaintiffs filed three separate lawsuits asserting claims in California and Georgia courts for violation of California’s Unfair Competition Laws, the Computer Fraud Act, the Stored Communication Act, negligence, breach of implied contract, negligence per se, and unjust enrichment. Successfully defeated two actions, one on the basis of the first filed doctrine and one on the merits after a motion to dismiss, and now working on the dismissal of third and final pending case. Successfully blocked discovery at all phases of the cases to date. Successfully petitioned for en banc review to the Tenth Circuit Court of Appeals resulting in the published opinion of Hydro Resources, Inc. v. U.S. E.P.A., 608 F.3d 1131 (10th Cir. 2010) in a case involving uranium mining, EPA permits, and Indian country in New Mexico. Successfully defended financial services company in a partition trial, securing lien priority and preventing unfavorable foreclosure of property. Provided key contributions in amicus briefs filed to U.S. Supreme Court seminal class decisions in Comcast Corp. v. Behrend, No. 11-864 (2013); Standard Fire v. Knowles, No. 11-1450 (2013); and Jacobsen v. Allstate, No. 19-976 (2014). Successfully achieved dismissal of case against the University of Texas MD Anderson Cancer Center and Cleveland Clinic in a putative class action brought against Facebook and various hospital systems and healthcare-related institutions that alleged certain healthcare institutions violated state and federal laws by transmitting information about consumers’ online browsing history to Facebook. Secured an important appellate victory on an issue of first impression on behalf of an insurance company when the court upheld arguments laid out in brief arguing that the trial court committed a reversible error in denying the client the right to intervene in the trial court case, subjecting it to a multimillion-dollar exposure. This case was of great importance to the insurance industry because as collusive agreements become more popular, insurance companies’ right to intervene to protect their interests in subsequent bad-faith litigation is more important than ever. Played crucial liaison role in putative nationwide plaintiff and defendant class action alleging consumer, antitrust and RICO claims against more than 100 property and casualty insurers. Worked with more than 100 defense counsel to organize a coordinated defense strategy for dismissal of all claims. Successfully defeated class certification in multimillion-dollar consumer class action against major auto insurance company in Colorado state court. Victory had significant implications for the auto insurance industry and class action jurisprudence in Colorado. Allegations regarding the insurance company's marketing of its uninsured motorist product were filed against nearly every insurance company doing business in the state of Colorado. Subsequent to the new, higher Colorado standard, litigated one of the first class certification hearings of the sued insurers and achieved one of the first class certification victories for the insurance company, which set the stage for nearly every other insurance company in the state with similar lawsuits pending against it. In the wake of other landmark decisions, the Colorado Supreme Court adopted more liberal standards for class certification than the United States Supreme Court. Successfully dismissed class action lawsuit in multimillion-dollar ERISA breach of fiduciary duty lawsuit in North Dakota federal court against one of the largest hotel chain owners in the United States. Case was of particular importance due to strategy of waiting until class was certified to bring a dispositive motion so that the motion would be preclusive to the entire class. Claims were dismissed with prejudice without leave to amend. Successfully defeated class certification in multimillion-dollar consumer class action against major auto insurance company in California state court. Victory came in the aftermath of California's Proposition 64, which significantly changed the landscape for standing and predominance requirements for California's proposed class representatives. Navigated court system that was dealing with significant change in class action law, and leveraged timing of law change into victory for the insurance company. Successfully dismissed class action lawsuit in multimillion-dollar consumer class action against a major insurance company in Montana federal court. Victory leveraged significant differences between Montana state and federal law. Played crucial role in achieving early class action settlement for major auto insurance company in federal court in Kentucky. After settlement, the plaintiffs successfully certified class against the remaining defendants, and certification order was upheld by Sixth Circuit. Successfully achieved early class action settlement for major auto insurance company in New Mexico state court, while other insurance companies continue to litigate the issues within federal court in New Mexico. Successfully litigated oil and gas lease dispute, including negotiation of a new oil and gas lease that was more financially beneficial to the client in a Wyoming state court dispute. Defends financial services companies, lenders, assignees, and assignors in litigation in federal and state courts regarding lien priority, partition, quiet title, and fraud allegations. In these engagements, successful litigation strategy is often related to timing of the allegations in the market, fact sensitivity and business considerations for the client. Co-led a team in conjunction with the ACLU and secured a $375,000 settlement for two victims of wrongful arrest in a drug sting. Clients were wrongly arrested and prosecuted based on false accusations, leading to the loss of their jobs and subsequent eviction from federally subsidized housing. Was instrumental in representing, in conjunction with the ACLU, proposed class of prisoners in case alleging prisoner abuse in Colorado state court. Was primary litigator in court-involved settlement which led to new safety standards and abolishment of certain types of torture devices.